TALLAHASSEE – Gov. 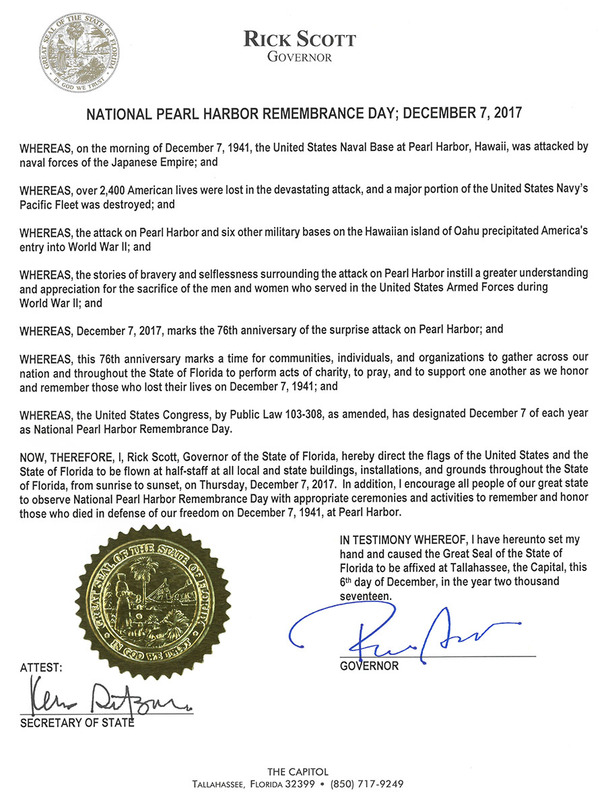 Rick Scott has signed the annual Pearl Harbor Remembrance Day Proclamation. Dec. 7, 2017 marks the 76th anniversary of the surprise attack on Pearl Harbor, which led to America’s entry into World War II. As part of the observance, the governor has directed the flags of the United States and State of Florida to be flown at half-staff throughout the state on Dec. 7. More than 65,000 World War II veterans currently reside in the Sunshine State.